An analysis of the largest ever study group of mesothelioma patients suggests that survival may depend largely on how much experience a patient’s local hospital has with the disease. The study was conducted at six different hospitals or universities in England and included 8,740 mesothelioma patients whose data was collected for the UK National Lung Cancer Audit. The group represented about 80 percent of the total mesothelioma cases in the region between 2008 and 2012. Most of the patients (83%) were men and their median age was 73. Of the 8,740 mesothelioma patients studied, 87 percent received a definitive diagnosis based on advanced histo-cytological test results. Only 67 percent receive anti-cancer treatment. The researchers say the types of treatments used tended to reflect the findings of the most recently published mesothelioma trials; use of chemotherapy appeared to be on the rise from year to year while use of radical surgery appeared to decline. The overall median survival among all the mesothelioma patients studied was 9.5 months with a 1 year survival rate of 41.4% and a 3 year survival rate of 12%. Median survival had improved by about a month between patients treated in 2008 and those treated in 2012. As has been the case in previous mesothelioma studies, survival was closely linked to PS and histological subtype. However, there was a significant range in the median survival rates between various cancer centers – from 209 days to 349. 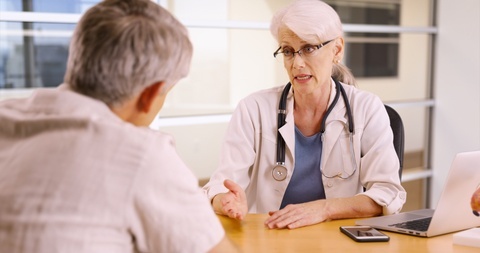 “There is a significant variation in care patterns and outcomes that may reflect limited expertise in areas with low incidence [of mesothelioma],” speculates study author Paul Beckett of the Royal College of Physicians in London in the journal Lung Cancer. Dr. Beckett and his colleagues say initiatives designed to get more UK doctors to measure and record mesothelioma stage could be a start to improve outcomes. Great Britain has one of the highest per capita rates of mesothelioma in the world, largely due to the prevalence of asbestos in building materials after World War II. Surviving Mesothelioma maintains a large list of some of the top mesothelioma experts in the US See the Doctors section to find an experienced clinician in your region.